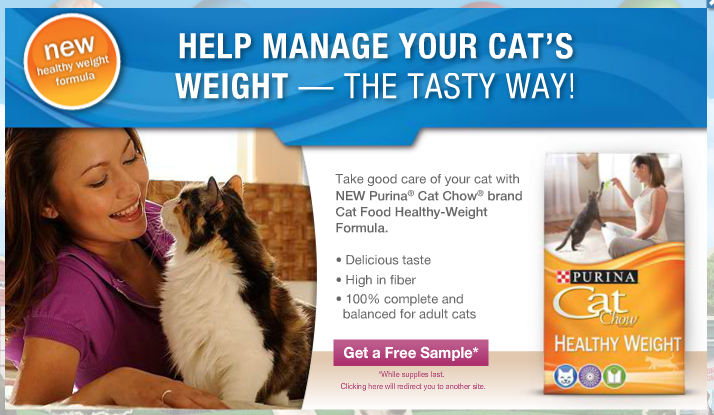 Get a Free Sample of Purina Cat Chow Healthy Weight Cat Food. Take good care of your cat with NEW Purina Cat Chow brand Cat Food Healthy-Weight Formula. It has delicious taste, high in fiber and 100% complete and balanced for adult cats.